In 1970, there were 65,000 black rhino in the wild. As poaching has intensified and pressures on their habitat increased, today only 5,500 now remain. They are extremely vulnerable to extinction in the wild, and the IUCN lists them as a Critically Endangered species. The Rhino Impact Investment (RII) Project is developing the world’s first pay-for-results financial instrument for species conservation. The achievement of pre-defined conservation performance indicators is linked to financial performance for those funding the black rhino conservation activities. The aim is therefore to mobilise new capital for conservation and to shift funding to focus on delivering outcomes. Ultimately, the Project Partners will look to build the blueprints to replicate this model to other rhino populations, similar species under threat and even Protected Areas. Find out more at: “RESULTS FOR RHINOS Using innovative financing to achieve conservation outcomes” and www.rhinoimpact.com. The RII Project is an initiative of United for Wildlife (UfW), an unprecedented partnership between seven of the world’s leading wildlife charities, including the ZSL, and The Royal Foundation of The Duke and Duchess of Cambridge and The Duke and Duchess of Sussex. 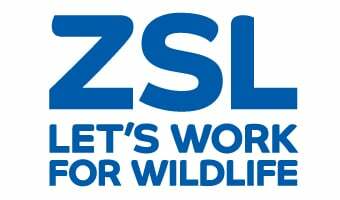 Implementation of the Rhino Impact Investment Project is led by ZSL and the Project is funded by the Global Environment Facility (GEF), the UK Government through the IWT Challenge Fund, UfW and ZSL. The United Nations Development Programme is the GEF Agency acting as the operational arm of the GEF to implement and execute Project activities consistent with both the GEF mandate and national sustainable development plans. The Rhino Impact Investment Project receives implementation support on technical conservation, conservation finance and legal from Implementation Partners including Credit Suisse, DLA Piper, Fauna & Flora International (FFI), the IUCN SSC African and Asian Rhino Specialist Groups (AfRSG and AsRSG), Kenya Wildlife Service (KWS), The Nature Conservancy (TNC), UBS and WWF-UK. Conservation Capital is the appointed RII Finance Manager and Conservation Alpha is the appointed RII Performance Manager.